Mordehai Ahdut DDS PC (Brooklyn) - Book Appointment Online! Welcome! 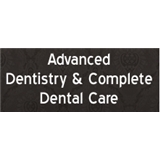 The professional dentist in brooklyn new york at Advanced Dentistry are pleased to welcome you to our practice. We want all our patients to be informed decision makers and fully understand any health issues you face. Procedure time was lengthy. Will,prepare better next time to hejp delsynother on other families .